Working plans were sent to the Slovenian Engineer to make sure they complied with Slovenian and European standards and building codes. 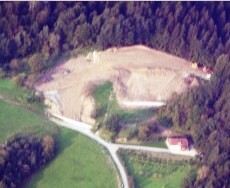 After completion and approval of all required plans, our customer got permission to build on their chosen location. 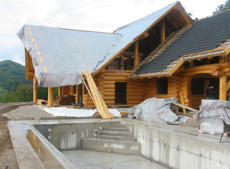 Meanwhile, our log home craftsmen started building this quality log home near Vancouver BC. 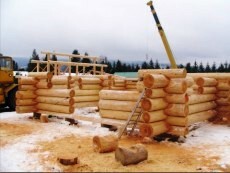 Production time for this log home was 3 months. It was then transported to Slovenia via cargo ship. 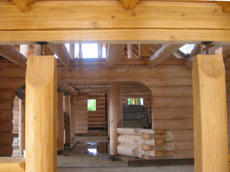 The log home re-assembly work is complete in 5 days by the assembly crew. 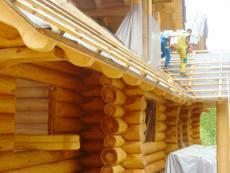 A Picture of the roofing crew hard at work. 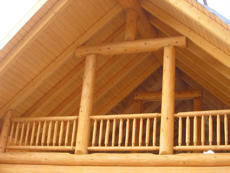 Picture of the deck with log railings off the master bedroom. Examples of interior custom log work. 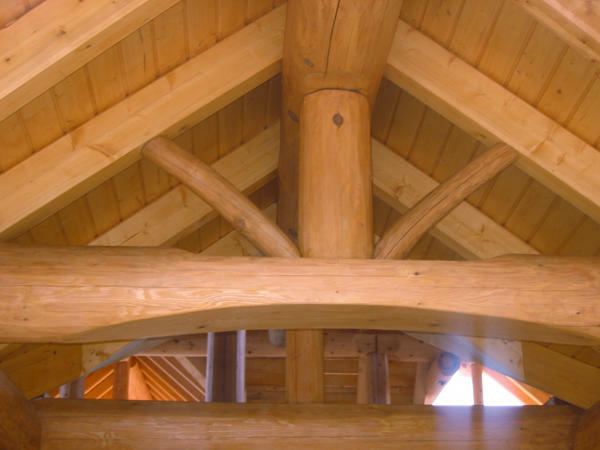 Example of roof bracing for rafter beams. 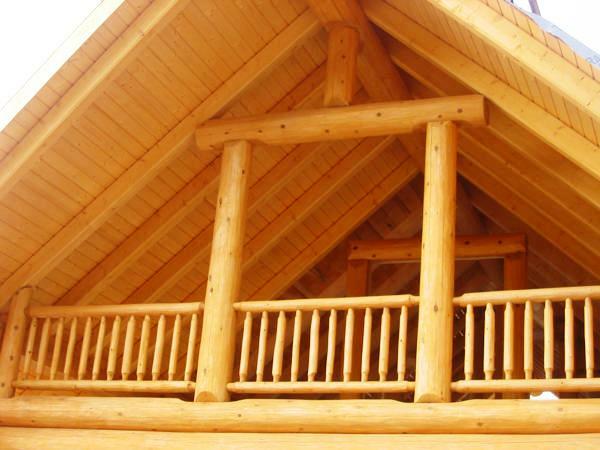 The roof is now complete. Exterior stain has been applied. This log home is now ready to finish the interior.